Posted on February 6, 2019 by Andy Higgs in Home. Sailing holidays in Greece can be an amazing trip for any type of holiday maker including families. The freedom of being on the open sea and exploring many places all in one holiday, you can see why it is a good choice. You can visit beautiful beaches, secluded bays, traditional towns and bustling resorts. But what do you need to know when considering sailing the Greek Islands? Here are a few tips for sailing with the family in Greece. How to plan your sailing holiday? Although you don’t need to learn to sail before you go there are some things you can do before you go to plan for a better holiday. Make sure you keep an open mind and embrace the change in pace when travelling by boat. Make sure you bring plenty of sun cream as you can be in direct sun for a long time on the boat. As well as sun cream children will need clothing to cover them up from the sun plus clothing to keep warm at night. You will also need to bring along the right swimming equipment. Swimming and snorkelling are some of the top things you will do on a sailing holiday. Remember you will need to bring things with you as you won’t be able to add anything on the boat. In terms of safety you should get the family to practice wearing life jackets. They can be uncomfortable for children, but they must get used to wearing these life jackets for safety on board. Talk to your kids about how to be safe on the boat before you go as it is an important part of the holiday, especially if they are not used to being on the water. There isn’t much space on a yacht so packing light is essential but bring the essentials. Limit your luggage and use packing cubes to pack smarter. Think carefully about what you are bringing with you and only pack the essentials. You don’t want to be overloaded on your boat. What type of sailing holiday to take? When thinking about taking a family sailing holiday you should first choose what type of holiday to take. There are a few different types depending on your experience and confidence. 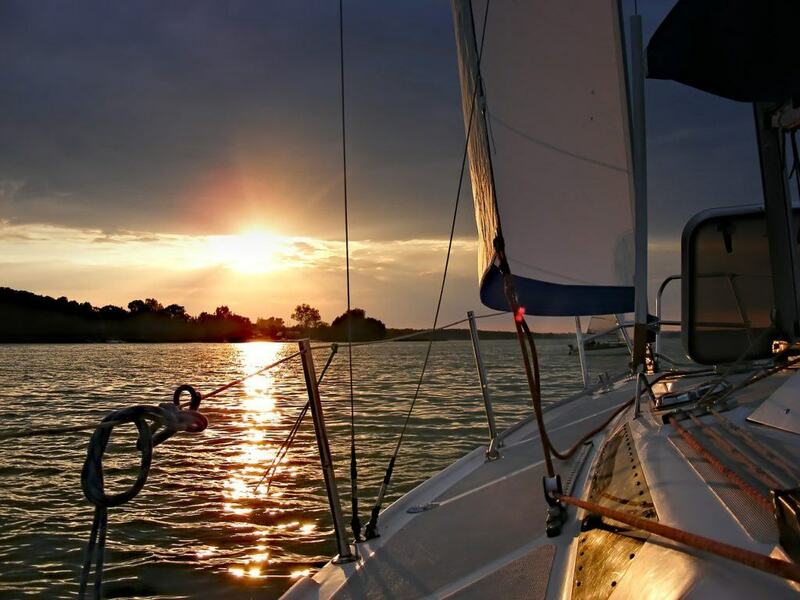 So, whether you need close guidance or want to go it alone there’s a sailing trip for you. This may be the best type of holiday to take when travelling as a family. Flotilla holidays are a group of yachts sailing together following a lead boat usually containing 6 to 14 boats in the same flotilla. It is great for families because you can do as much or as little sailing as you want. On the lead boat there is a full crew including a skipper, a host and a technician who will give daily briefings so you will know exactly where you are going and how to get there. The routes are pre- planned and are only small hops between destinations, this means limited sailing and plenty of stops to explore. You can also learn to sail as a family on a flotilla holiday. There are courses you can take before you book your holiday, so you can sail as formally qualified. But you can also hire a skipper for the first day or so whilst you learn to handle the boat. Older children can also have a go at learning to sail too. Teach them how the boat works and give them the chance to navigating to the next port. For absolute freedom you might want to think about chartering a yacht. You can sail yourself if you are qualified, hire a skipper for your yacht or even a full crew. This is great if you want to create your own itinerary and stay in places as long as you like. If you like somewhere you can stay a bit longer and explore. With a yacht charter you are in control. Where to visit on a family sailing holiday in Greece? There are few different itineraries you can choose from when taking a holiday in the Greek Islands. Here are some of the best places to visit to explore by yacht in this part of the world. These Greek Islands, the Ionian, are filled with popular tourist destinations and there are a few stops here you should definitely consider. Paxos and Anti-Paxos are great for secluded bays and beautiful sandy beaches which are perfect for relaxing. Or there is Corfu which has excellent swimming in the clear blue waters and there are lovely small coves and beaches to discover. Corfu town is also a good choice with historic sites and other interesting places to visit. Kalamos is also a great place to visit to get away from the busy spots. The main harbour is relaxing, and you can find some great places to eat drink and people watch. You can also visit the abandoned village of Port Leone. Zakynthos is a well-known destination for resorts and summer holidays. Find lots of great beaches including Agios Nikolaos, Alykanas and Tsilivi with excellent swimming and water sports. 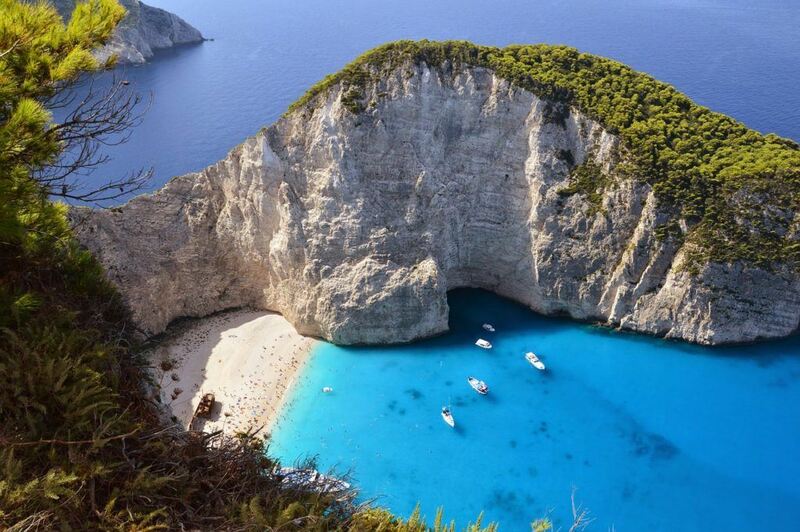 The famous Navagio beach is a sight to be seen with resident shipwreck and as you are sailing you can visit before the crowds. Just north of Athens, in the Aegean Sea the Sporades Islands are famous as the setting of the 2008 ‘Mamma Mia’ movie. Visit the village of Orei on Evia Island and the Gulf of Volos. There are also the opportunity to visit the eastern islands of Skiathos, Skopelos, Alonissos, Kyra Panayia, Peristeri and Skantzoura. Highlights here include the Church of St John’s and the Old Town of Alonissos, which is nestled high in the hills. You can also enjoy relaxing in paradise on the beaches on the south side of Skopelos with white stand and crystal waters awaiting. Island hopping in this part of Greece gives you the chance to visit some traditional and relaxing destinations. Agistri and Aegina give you the chance to enjoy the scenery and relaxation of the area and you can also take the chance to explore the traditional fishing village of Vathi. Then there is the contrast of the lively harbour town of Poros. Here you will find authentic Greek tavernas giving you the chance to enjoy the local atmosphere and hospitality. Later during your trip you may want to stop at Hydra and Spetses Islands in the south. Here you can enjoy getting to know the local culture and indulging in the boutique shopping opportunities. Will you choose a sailing holiday in Greece for your next trip? As you can see there are many reasons as to why you should consider a sailing holiday in Greece for your next family trip. 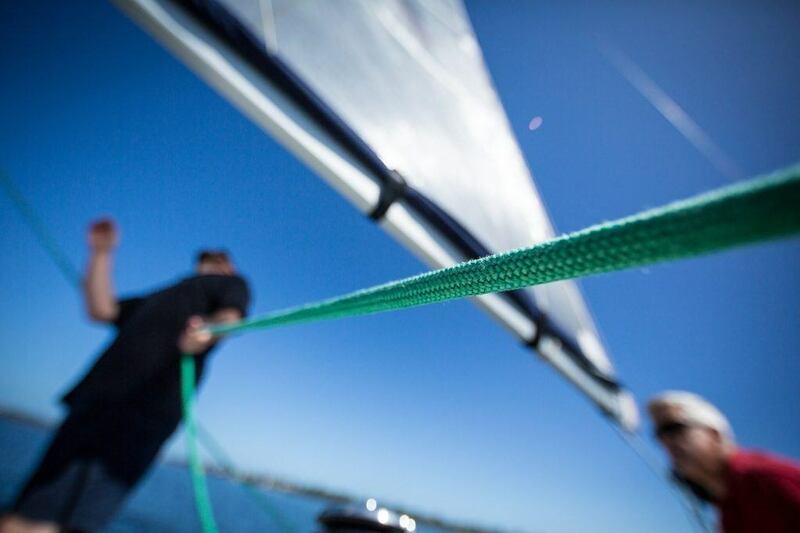 Remember the skills and some sailing equipment will be included in your package holiday. There are plenty of places to visit, the opportunity to learn new skills and also relax as a family in a beautiful setting. Which part of the Greek Islands will you choose for your itinerary?